How experienced are the primary teachers? Yoga Australia (the national industry representiative body) stipulates that to register as a primary teacher you must have at least 1000 hours of training, 1000 hours of teaching and ten years experience. With teacher training programs cropping up everywhere, it’s important to find out how long the primary teacher has been teaching and how much experience they have. The depth of what you can learn from a teacher who been honing his/her craft for ten or more years is significantly more than someone who just graduated from her own teacher training program a few years ago. Be wary of claims stating ten years “yoga practice” experience. Practicing yoga and teaching yoga are two completely different skills. What is the curriculum and classroom format? Both Yoga Australia and Yoga Alliance require a minimum number of instructional hours in various educational categories. Ask the primary teacher to show you the curriculum and book list and find out the format of classroom hours. According to Yoga Alliance guidelines, teacher training classroom hours must be in a ‘dedicated teacher training environment (into which others might occasionally be invited) rather than in classes intended for the general public’. If the program doesn’t follow a clear curriculum and your teacher training sessions are open to the general public, the depth of your learning will be compromised. The anatomy category should be taught by a qualified anatomist, doctor or similar professional and be taught in relation to asana and alignment. There’s obviously no point in learning a bunch of anatomy and terms if you don’t know how to apply it! How much yoga experience is required to apply? If a program requires no previous yoga experience or minimal experience for applicants, this should raise a red flag. It may indicate the program values are about generating revenue or churning out teachers for their own benefit over accepting appropriately qualified candidates. 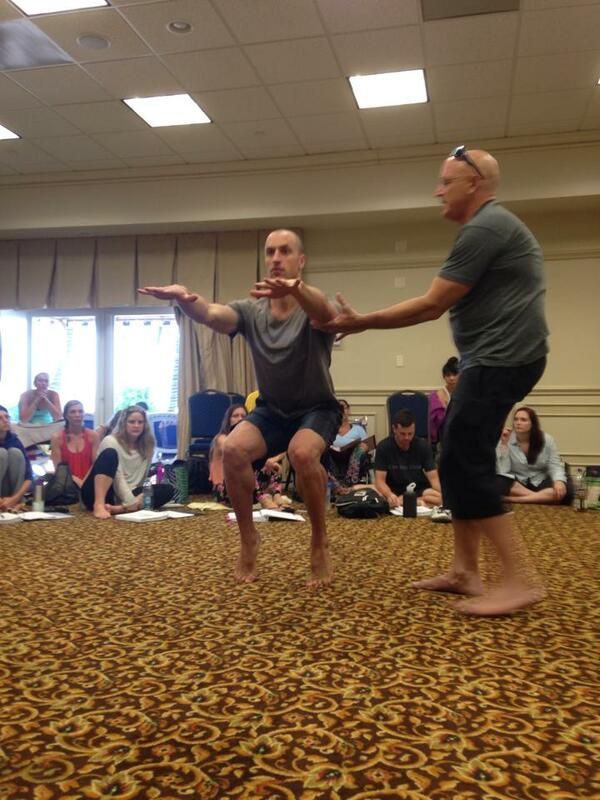 One year of consistent yoga practice prior to applying is a minimum standard for potential teacher trainees. This also ensures you are adequately prepared for a course. Yoga Alliance has become the essential player in the yoga world, to the point where it’s hard to get a teaching job if you don’t attend a Registered Yoga School (RYS) and obtain the Registered Yoga Teacher (RYT) designation. Both Yoga Alliance and Yoga Australia have the highest standards both nationally and globally. Their requirements are the best practice for the Yoga Teaching profession. Be wary not ALL Yoga Alliances are the same. You can learn more in this article. It is vital that you do your research and see which course is the right one for your and at the end of the day any program you choose is buyer beware. Remember that teaching yoga is different to practising yoga!